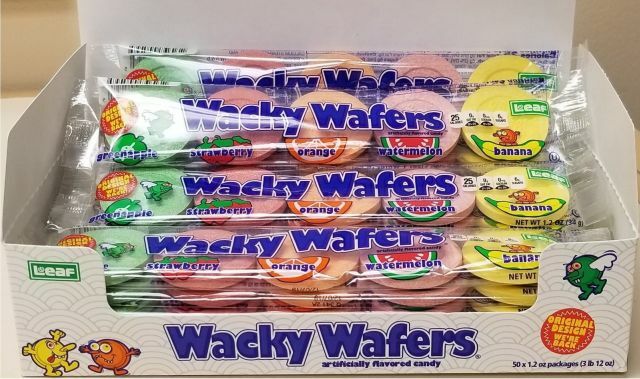 The returning candy is meant to be the same as the originals with big silver dollar-sized dextrose (sugar) wafers that come in five flavors: watermelon, orange, green apple, strawberry, and banana. Leaf Brands originally meant to ship Wacky Wafers in July but manufacturing hiccups pushed the launch date to this month. According to Leaf, the original had been tweaked over time by the previous owner, Nestle/Wonka, and eventually ended up in the form of a small vitamin-sized candy. They came they had to reverse-engineer the product to get it back to its original form. 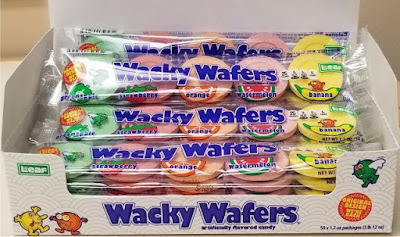 You can find Wacky Wafers for a suggested price of $1.49 per pack of five wafers.